If you are coming here and see this at the top of my blog, then this is to inform you that this is not a very active blog. Heck, I have not posted anything of consequence in here for over a year! What has happened? Well, as I have been knee-deep in grad school stuff, I have also been blogging pretty regularly at Biofortified, and hosting my radio show again. Consequently, my urge to talk about science in all its various forms, especially for plant genetics, has been satisfied by these outlets. Discussions at Biofortified have been getting stronger and stronger, and although I haven’t posted any show recordings recently at Inoculated Media, it’s been nonstop fun being on the radio again. Bees have been buzzing in the field, and Basement renovations a-building at home. Time has become a bit of a scarce resource in recent times for me. This post is just to fill everyone in on what is going on here and elsewhere, and what my plans for this space are. (should you come a-knocking) Continue reading Whither now, my blog? I am in the process of moving this blog, my podcast blog, the Biofortified blog, and everything else to a new host. I thought, let’s do this carefully and make sure not to screw up any of these sites. Starting with the podcast blog, I initiated the domain transfer on Saturday. While waiting for the transfer to occur, I started a couple more. My blog was going to be last. Since I haven’t actively used it lately, it could remain offline while I set up the others. So to make a long story short of the old account being deleted and the sites going down, and the time spent chasing down who to talk to about what is taking the other domains so long and how the nameserver cannot be changed when a transfer is pending, we’re left just waiting for the domains to transfer. And I’m left with the irony that my own sites, which I used as guinea-pig and lowest-priority are the only ones that work! And the one that I hold in highest importance and that others depend on, is still down. Files are all there, database backed up in triplicate, domain in limbo. I bet we could do a better job here in the states. After all, our techno is way better! Posted on January 13, 2010 Categories Chemistry, Education, Humor1 Comment on Chemical Party! These look like some very easy to make and fun cookies. 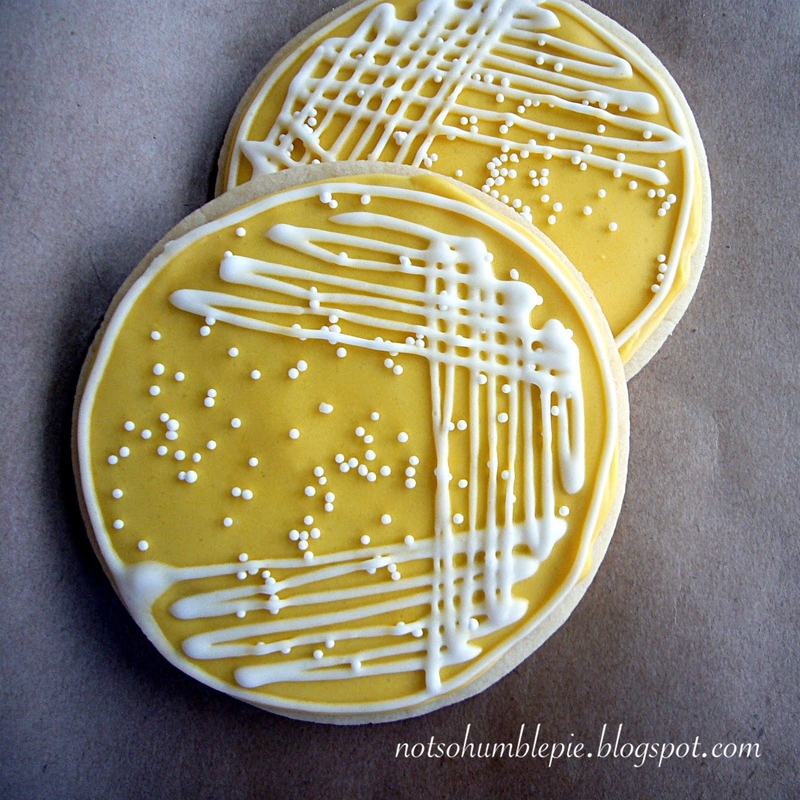 Periodic Table squares, Gel Electrophoresis cookies, atomic cookies, and my favorite: Streaked Petri Plate cookies! Well I know what kind of cookies I’m making next. Move over chocolate chip, time to make room for a new friend! Posted on December 8, 2009 February 4, 2016 Categories Art, Science2 Comments on Science Cookies! After an abnormally warm fall it seems that Winter has finally arrived in Madison. Less than a week has passed since our first snowfall and we’ve had a second one. Furthermore, starting tonight we’re about to get one heck of a storm that could drop as much as 11 inches on Wisconsin! I wonder, why does the Copenhagen climate conference always happen in the Winter? Maybe the response to the bogus ClimateGate should have been to move it to the summertime? Maybe it will be easier to talk about global warming if people aren’t freezing. I wonder what crazy things people might misconstrue my emails to mean? Happy snow day! I think I will spend it designing primers and writing my term paper. This summer, Madison was uncharacteristically cool. Now in the late fall, it is uncharacteristically warm. It’s already halfway through November and we’ve only just had our first windshield-frost. Where’s the snow? In Colorado, however, the snow has already piled up, and Phil Plait got to show off his ubernerdiness earlier than most. Check out his Snow Dalek! What could I do to top that?